When the NIH National Center for Complementary and Alternative Medicine director Josephine Briggs, MD requested public comment on her proposal that the agency's name be changed to the National Center for Research in Complementary and Integrative Health, the Integrative Healthcare Policy Consortium (IHPC) engaged an e-dialogue between leaders of its 15 Partners for Health. These include many of the best informed policy leaders in alternative, complementary and integrative health and medicine. The Partners range from massage to integrative medical practice organizations. The entire letter is available as NCCAM Name Change: IHPC/Partners Weigh in, plus Integrator on the Name is Not the Mandate. While generally supportive, IHPC notes a strong concern that the name marks a move away from the "CAM" discipline and professions on which the agency was to focus. They wrote: "At this time in the evolution of the 'integrative' dialogue, the so-called complementary and alternative health disciplines and practices must continue to be explicitly included or they will, likely, be excluded." The letter was signed by all the Partners. NCCAM: soon to be NCRCIH? In an extensive comment field also noted in the article referenced above, I share my perspective that more important than the name is what NCCAM is, or is not, doing with the unchanged mandate. Evidence is that the change of the name is only acknowledging what the agency has already done in leaving its mandated relationship to the licensed CAM disciplines behind. One sign: instead of at least 50% of its members from the licensed "CAM" fields ("integrative medicine" is not mentioned in the mandate nor did the field much exist in 1998), the 18 member National Advisory Commission on Complementary and Alternative Medicine now has just two licensed CAM members. It's long past time for some organizing to right that course or the "CAM" disciplines and institutions that NCCAM remains mandated to research will remain, forever, in a dusty backwater of science with little or no skin in the evidence game. After I sent an Integrator push to urge readers to respond to the NCCAM call regarding the proposed name change, I received permission to post the following impassioned view from reader and sometimes contributor Nancy Gahles, DC, CHT. Gahles shared this with the Integrative Health Policy Consortium (IHPC) members as part of their dialogue, reported above. Gahles notes that "all capitals are my own emphasis and passion." "This is a link to an article in the Orlando Sentinel that I believe tells the story of the fast moving trend of 'conventional' medicine to 'integrate' alternative medicine into their practices. That would be known as the practice of medicine. Notwithstanding the fact that the round peg in a square hole theory would prevail as the philosophies of conventional and alternative medicine are distinctly different. "Note paragraph #5: "...more mainstream medical practitioners incorporate therapies ONCE CONSIDERED alternative into their conventional practices." And paragraph #6: "...students are learning how to make UNCONVENTIONAL therapies part of conventional treatment plans." "Couple this article with the recent survey from infectious disease docs who said that they would be comfortable with alternatives IF they were able to incorporate them into their practices and you have the run-away integrative MEDICINE train. Then add in the American Board of Holistic and Integrative MEDICINE and take a look at the required courses and you will see a 1 credit course in homeopathy taught by an MD. And will the "A" in ACCAHC come out? What about "Alternative Therapies" magazine? What about "alternatives" to opioids for pain management that are so desperately needed. to dare to be different." "Alternative is honorable. Alternative allows for exploration of possibilities OUTSIDE of the conventional. Alternative requires the courage to dare to be different. "At the risk of being banal, the dictionary does describe 'alternative' as 'a choice limited to one of two or more possibilities, as of things, propositions, or courses of action, the selection of which precludes any other possibility: You have the alternative of riding or walking.' For all intents and purposes, in this context, we have the opportunity to name an agency that is required to research the possibilities, the alternatives to the conventional system of drugs and surgery that clearly do not have the solutions. "In considering the NCCAM name change I stand firmly in support of keeping the word 'alternative' squarely in the research opportunity field. "It is only in exploring and discovering the mechanisms of action and the implications of whole systems of alternative medicine that one can truly understand how to utilize them appropriately to first,do no harm and second, achieve the highest ideal of cure. When that has been accomplished there can be discovered areas of complementary action and conditions and situations that lend themselves well to that such as Arnica and surgery. "The field of integrative health is being defined right now, as we are all abundantly aware. Alternative medicine, whole systems of medicine, must stand alone in the right to share in the research funding available in order to further its integration into the health care delivery system of the US. "The price of freedom is eternal vigilance", as Thomas Jefferson said. Comment: My own stubborn, and, okay, vigilant connection to "alternative" comes from a strong belief that if Donald Berwick, MD is talking to regular medicine about how "radical" a change is his vision of "health creation" compared to the focus of the medical industry that dominates today, our letting go of the radical "alternative" our movement represents is too early of a concession. We should not be supporting the idea that merely "integrating" a few therapies and modalities, or even adding an acupuncturist or massage therapist to a team, is the endpoint. This disregards the values origins in this work. Why not align language with what it's meant to describe? Take the Pledge: Don't say "healthcare system" when describing "disease treatment" or the medical industry"
Language it's a virus, as performance artist Laurie Anderson sings. Do we harm our discourse about the future of health and medicine by a laziness of language that has us speaking of "health care" or a "healthcare system" when what we are describing is neither? This column reprinted here in the Integrator makes the case that all players in health and medicine should exercise greater consciousness of their word choices when talking about medicine, health and the business of producing medical procedures. Might the effort to liberate "health care" from the "medical industry" and the "disease management system" benefit from higher consciousness about our language? Might such attention to language help us identify what we are doing when we are in fact moving toward "health creation"? The column sets the stage with a parallel language issue that mystifies reality amidst the horribly challenged economics in the colony (not country) of Puerto Rico. Anderson: "Language its a virus"
Comment: A mentor warns that this campaign over language will alienate those whose choices are, once the sorting by category begins in earnest, squarely motivated by the profit interests in the medical industry. Clearly, some therapeutic choices made by all types of practitioners, including "CAM" and integrative providers, are stimulated by concern over business returns an personal income. I think of programs for patients with more visits than may be necessary and of sales of some products or tests. Here is a case in point regarding re-languaging that is included in the column. Former Center for Medicare and Medicaid Services administrator Donald Berwick, MD, recently elevated the concept of "health creation" as the optimal focus of the U.S. policy and practice in medicine and health. Berwick shared how it is "fortunately commonplace now to say that we would be better off to re-direct some of our healthcare enterprise from fighting illness to pursuing health, going from health care to health creation." Look at Berwick's language. In fact, we are not "going from health care to health creation. His communication would have been clearer had he said that we need to re-direct some of our disease management enterprise from fighting illness to pursuing health, going from disease treatment to health creation." Perhaps better would be "from our medical industry's focus on production of services to health creation." "from health care to health creation." The one U.S. foundation that is totally dedicated to advancing health professional education, the Josiah Macy Jr. Foundation, has made a historic grant $30,000 grant to the Academic Consortium for Complementary and Alternative Health Care (ACCAHC). According to this ACCAHC release, the grant supports the second phase of ACCAHC's Project to Enhance Research Literacy (PERL). ACCAHC is convening communities of learners to disseminate experience from seven institutional recipients of NIH NCCAM education grants that focused on enhancing research literacy and competency in "evidence-informed practice." In the release an ACCAHC official, this writer, notes that evidence is often "the coin of the realm" in fostering optimal care, adding: "Comfort and competency with the evidence exchange is critical for developing relationships and leveraging appropriate inclusion." Comment: Via my ACCAHC hat, I am involved with PERL project manager Deborah Hill, MS in this Macy-backed initiative. As far as we can tell, this may be the first grant from Macy or any other major national foundation to support any initiative in integrative health and medicine not led my medical doctors. It's exciting to have this opportunity to increase the bilingual participation of the integrative health professions in the integration dialogue and action. The Consortium of Academic Health Centers for Integrative Medicine has made webcasts of the exceptional plenary speakers at the recent International Research Congress on Integrative Medicine and Health (IRCIMH) available to all, for free. They are available here. Among the tops for this attendee is the awesome "Social and Scientific Influences on Gene Expression" of Steven Cole, PhD. Another is the compelling presentation by the man who history will recall as the principal, individual stimulant for the nation's move toward integrative pain care, former Army Surgeon General Eric Schoomaker, PhD, MD. His was entitled "The Imperative for Integrative Medicine in the Military: A Personal and System Perspective." Comment: Disclosure on the Schoomaker: through my work with ACCAHC we sponsored the talk, in the name of former integrative pain leader, now deceased, Rick Marinelli, ND, LAc. Schoomaker's humanity is remarkable and compelling. He honored Marinelli's work in extensive introductory comments and by referring back to Marinelli throughout. While I name just two of these (I missed a couple for business and personal reasons), definitely sample the others. IRCIMH's plenaries are typically known for being stimulating. In a historic move for the licensed complementary and alternative healthcare fields, chiropractic doctor Partap Khalsa, DC, PhD and naturopathic doctor Wendy Weber, ND, PhD, MPH, have been elevated to new leadership roles at the NIH National Center for Complementary and Alternative Medicine. Khalsa has become the new Deputy Director for the Division of Extramural Research. Weber is now the Branch Chief for Clinical Research in the Complementary and Integrative Health Branch. NCCAM's organizational chart reflecting these appointments is here. Comment: Conversations with those close to NCCAM have made it clear that these appointments were fully merit-based. The unanimous view is that Khalsa and Weber have each been doing terrific work for many years. One of the side-events of the International Research Conference in Integrative Medicine and Health was the convening one evening of the naturopathic doctor researchers present who are part of the endeavor. Heather Zwickey, PhD, the director of the Helfgott Research Institute at the National College of Natural Medicine in Portland, Oregon, and a mentor to numerous members of the new generation of researchers, organized a photo session of the growing cadre of researchers. Most have participated in, or been supported through, grants through the NIH NCCAM. These are captured in the photo. Comment: The photo is missing a few stalwarts, including Lynne Shinto, ND, MPH, Leanna Standish, PhD, ND, LA, Erica Oberg, ND, LAc, Carlo Calabrese, ND, MPH (now retired from ND research work) and the important set of Canadians associated with Canadian College of Naturopathic Medicine. The moment captures both the growth of a field since NCCAM was established, and the yet precarious position. Other than grants to Shinto, at Oregon Health Sciences University, and Standish, at Bastyr University, and part two of an education grant to Zwickey, the colleges have seen little NCCAM-granted research in recent years. Those who are flourishing tend to be located in mainstream institutions like Shinto and the Society for Integrative Oncology leadership duo of Heather Greenlee, ND, PhD and Suzanna Zick, ND, MPH (at Columbia and Michigan, respectively). The growth is remarkable. The present trending in emerging opportunities needs deeper exploration for its impact on the field. In a presentation at the recent American Association of Medical Colleges (AAMC) 10th Health Workforce Research Conference, Duke's family medicine residency head Lloyd Michener, MD included a useful slide from a 2001 study that placed human "visits to complementary or alternative medicine provider" in the context of typical monthly health and medical use patterns. Michener's slide, from a NEJM-published study, first noted that of 1000 people, 800 will report some symptoms related to health problems each month. Of these, 327 will "consider seeking medical care" and 217 will visit an MD's office (113 of which will be primary care doctors). Of the total, 21 will visit a "hospital outpatient clinic," 14 will receive home health care, 13 will visit an ER, 8 be hospitalized, and "less than 1" Michener reported to his AAMC audience, will be hospitalized in an academic health center. Comment: I spoke to the 200 plus workforce data heads at the AAMC conference on "Integrative Health and Medicine" just before Michener's community medicine focused talk. We were part of a May 2, 2014 plenary panel entitled "Come Together: Using Teams to Meet Post-ACA Healthcare Needs." My key point was that licensed complementary, alternative and integrative health and medicine practitioners are part of the "workforce" selected by many human beings in the U.S., daily. Then I posed the perhaps plaintive question: Might these one day be an acknowledged part of your workforce calculations and planning? Michener's slide, which he used in part to put academic health centers (<1 visit/month) in their context, supported my point. Notably, the study authors did not ask how many use "CAM" or any other form of self-care. UPMC leader: "Only about a quarter of what we do has strong evidence and we only do that about half the time." On June 7, 2014, one of the plenary speakers at the largest, international, interprofessional health meeting, All Together Better Health 7 made a stunning comment on evidence. The speaker was Steven D. Shapiro, MD, chief medical and scientific officer for the University of Pittsburgh Medical Center/UPMC Physician Services. In dialogue with his international audience and his fellow panelists, health system leaders from Mayo and University of Minnesota, Shapiro stated bluntly: "Only about a quarter of what we do has strong evidence and we only do that about half the time." The comment was tossed off in a matter of fact way. He made no citation. Shapiro was not judging or startling, but merely sharing evidence that made a point. UPMC is that city's largest employer. Comment: The honest human question is: How are leaders from hospital medicine, in full integrity, to approach the evidence question relative to complementary and alternative medicine practices? Should their question be: Can you guarantee me that 25% of what you integrative doctors do is evidence based and that you do that at least half the time? Otherwise, you are out! Of course, we often see a full on double standard, which presumes that what is done and paid for in regular medicine is evidence-based and that practiced by infidels does not make the grade. At dinner with a local colleague who took me to a restaurant on a hill with a view of downtown, a tower with the UPMC logo emblazoned on its crown loomed above the Highmark Blue Cross Blue Shield building and over all of the other downtown towers. The image of that tower on this precarious base in evidence reminded me of a line from a poet friend in university, Valerie Clappison (now a retired Portland psychiatrist): Idol children have clay feet/ and angels fall in spirals. I often think the most significant issue for complementary and integrative medicine practitioners around "research literacy" is not so much the ability to evaluate studies but rather the necessary bilingualism to managing the interprofessional politics in these zones of conflict, power, uncertainty, and ambiguity. Objective 1: To build the knowledge base for active management of traditional and complementary medicine through appropriate national policies. Objective 2: To strengthen quality assurance, safety, proper use and effectiveness of traditional and complementary medicine by regulating traditional and complementary medicine products, practices and practitioners. Objective 3: To promote universal health coverage by integrating traditional and complementary medicine services into health care service delivery and self-health care. Comment: The big shift with this strategy was to move from merely focusing on products, the core of the initial plan, to adding the other two "p's" of "practices and practitioners." Objectives #2 and #3 speak to this shift. In addition, the decision to use the term "complementary" links the developments in the less developed world, with which the W.H.O. is most influential, with the way these products, practices and practitioners are increasingly used in the USA and elsewhere in the more industrial world. Side note: I had an opportunity to participate in the 2nd and 4th planning meetings of the group, in Hong Kong, where I had the chance to introduce the others to the NCCAM language which is to explore "modalities, systems and disciplines." This, as i recall, morphed into the "products, practices and practitioners" used in the W.H.O. document. Three key Euro-American players in drafting the document were Andrea Burton from Moneytree Creative, in Vancouvre, B.C., Michael Smith, BPharm, ND, a senior fellow with the Samueli Institute, and integrative medicine and whole systems research specialist Torkel Falkenberg, MD and at Sweden's Karolinska Institute. Thanks to actuary Heather McLeod for bringing the W.H.O. 's act to my attention. 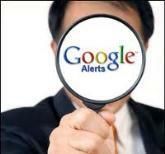 For the monthly Integrator feature on the Google Alerts related to "alternative medicine," many news blurbs from around the world appear. The following, from the May 2014 edition, seemed useful to list here in the context of the W.H.O. decision on the 2014-2023 strategic plan on traditional medicines. Czech health minister is railing against "alternative medicine charlatans." Comment: There is clearly a good deal of interesting activity, all over the map, that suggests value in a W.H.O. strategy relative to the appropriate inclusion of traditional and complementary medicines. Oregon College of Oriental Medicine educator and clinician Beth Howlett, MAcOM, LAc recently shared her perspective in Acupuncture Today on a 3-year, interprofessional battle in her state: "Dry Needling is Acupuncture: Anatomy of a Legal Victory in Oregon." The timing was a January 23, 2014, Oregon Court of Appeals decision that overturned the Oregon Board of Chiropractic Examiners "dry needling" administrative rule allowing chiropractors to use the procedure. In Howlett's words, this decision "allowed chiropractic physicians to perform acupuncture after only 24 hours of training." The court concluded that "dry needling is not within the practice of chiropractic...and the rule thus exceeds the scope of the board's statutory authority." Howlett describes her profession's initial antagonism to battling another "CAM" discipline, instead of affirmatively focusing on the role of AOM in healthcare reform. Howlett notes that a critical point in her association's battle was to reframe the effort as not against the state's chiropractors, per se. In fact, most of whom were found to be neutral on the issue. Instead they focused on the Oregon Board of Chiropractic Examiner's rule itself. Howlett is a member of the board of the Oregon Association of Acupuncture and Oriental Medicine. Comment: This story lives up to its billing as an "anatomy" of this battle, from the perspective of the AOM profession that Howlett ably represents. I imagine that my chiropractic colleagues in Oregon might have some amendments. One thing of which we can be sure is that a 24 hour course on manipulation that would give AOM practitioners a new practice right would not go over well for the chiropractic field. Two representatives from the American Association of Naturopathic Physicians (AANP), past president Michael Cronin, ND and co-chair of a new M asters of Science in Glbal Health and National College of Natural Medicine and director of Natural Doctors International Tabatha Parker, ND attended the World Health Organization's 67th World Health Assembly as guests of the World Chiropractic Federation. The AANP is seeking to create a World Federation of Naturopathic Medicine with potential W.H.O. recognition of its field such as the chiropractic and acupuncture and Oriental medicine fields have achieved. In a short video featuring the two, that the AANP shared with members, Parker directly thanks the World Federation of Chiropractic "for being our incredible hosts here." Comment: Good for the NDs to be moving toward this recognition, for the chiropractors for lending a hand, and for the NDs to make a point of publicly thanking them. Reader Lou Sportelli, DC sent a link to an excellent 7-minute video on chiropractic that Christine Goertz, DC, PhD was invited to develop for Quantia MD. The video/slide show is available for free here after a sign-in. The video begins and ends with questions to the MD audience. The first is on the percent of the adult population that uses chiropractors or osteopathic manipulation (2%, 9%, 15%, 25%, 50% are the choices). The concluding question is on the percentage of medical doctors who believe they "understand the proposed medicinal use of chiropractic, and are comfortable counseling patients about its use" (0-10%, 11-25%, 25-50%, 51-75%, 76-100%). Between these, Goertz, a former NCCAM program officer and current member of the Board of Governors of the Patient Centered Outcomes Research Institute (PCORI), provides a useful selection of research on cost and effectiveness data in her field. Goertz is vice chancellor for research and health policy at Palmer College of Chiropractic. Comment: The answers: 9% of consumers see chiropractors and 38% of MDs think they understand the uses of chiropractic. I knew the first answer. On the second, I wondered if the self-perception among MDs regarding their knowledge of chiropractic might put their response much higher than the 38%, whether or not it was true that they had a basis for such understanding. It is a good sign that the number, at 38%, was relatively low, though I would guess that those who have a full and respectful "interprofessional" understanding would be lower yet. Notably, 50% of respondents guessed 0-10% and another roughly 37% guessed 11%-25% for a total of 87% putting the answer at below 25%. To the extent that Quantia MDs viewers and poll-takers are MDs, it appears that respondents have a higher estimation of their own understanding than they have of that of their peers. Author and homeopath Dana Ullman, MPH, CCH, sent along the following news piece he wrote up after seeing this media release on the decision of the German homeopathyc company, HEEL, to stop business in the U.S.
"A leading German homeopathic company, HEEL, is halting operations in the United States and Canada due to the present highly litigious environment here that has led to the encumbrance of several class-action lawsuits against them by skeptics of homeopathy and their attorneys. All of these lawsuits have been resolved through mediated settlements. "The HEEL company is owned by Stefan Quaint, who also is a primary owner of a famous German automobile company called Bavarian Motor Works (BMW). The HEEL company's leading product is Traumeel, a homeopathic medicine for sprains and strains that is exceedingly popular worldwide and used by many professional and Olympic athletes, as well as anyone who injures him or herself. Other HEEL homeopathic products include Zeel, Sinusin, Luffell, and Adrisin. them by skeptics of homeopathy ..."
"Although HEEL is moving out of North America, all of their products, with some modification, will remain available here as a result of a management buy-out. The products they have made historically in the USA will still be made at the same manufacturing plant as in the past, and the same CEO and management team will continue to run this new company. "Cliff Clive, the CEO of HEEL America and of the new company, MediNatura, told me that several of the products will undergo minor formulation changes to distinguish the products from those of HEEL. The new formulations will include more natural and environmental friendly ingredients (for instance, no petroleum base will be used in the topicals), and none of their new products will contain ingredients be deemed to warrant Proposition 65 warnings in California. The HEEL company will cease distributing their homeopathic medicines in North America on September 1, 2014, and the new company, MediNatura will begin to distribute to consumers and to health and medical professionals starting in January 2015. Ullman also noted that "there are many of us in the field of homeopathy who now prefer to refer to this field as homeopathy and as 'nanopharmacology.'" Comment: Sorry to hear that the anti-CAM crowd is having this effect, especially coming as I do from a home that is a regular Traumeel user. The Oregon Association of Naturopathic Physicians is urging abstracts from a diverse set of practitioners "as a reflection of the growing trend of working in collaborative teams to address health" for their December 6-7, 2014 conference in Portland. Submit through the OANP website at www.oanp.org. Due June 30, 2014. The American Chiropractic Association is accepting speaker and panelist presentation proposals for the 2015 National Chiropractic Leadership Conference (NCLC), to be held Feb. 25-28, at the Hyatt Regency on Capitol Hill in Washington, D.C. Submission will be only accepted through the online submission form until June 25, 2014. The leadership of Aviad (Adi) Haramati, PhD in 4 international research meetings led to a much deserved award from the Consortium of Academic Health Centers for Integrative Medicine and the International Society for Complementary Medicine Research. The two groups co-sponsor the International Research Congress for Integrative Medicine and Health. Haramati has led planning and execution for these signature conferences in 2006 (Edmonton), 2009 (Minneapolis), 2012 (Portland, Oregon) and 2014 (Miami). Haramati played a similar guiding role in the International Congress for Educators in Complementary and Integrative Medicine at Georgetown, his academic base (2012). Haramati has indicated that this will be his last in that leadership capacity. Comment: Haramati has not only promoted the research endeavor but also looked out for creating community across the integrative health and medicines disciplines. He's brought in dozens of sponsoring organizations and extended scholarships to students from the licensed complementary and integrative health and medicine disciplines. 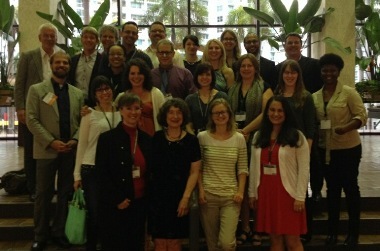 In Miami, he took the community building aspect of this research conference a step further. The event included a banquet night with a terrific salsa band. His idea that this audience of research wonks would get up and boogie was mere hypothesis. Great dancing ensued, prior to seeing this proof. That excitement was also a part of Haramati's mother-henning, impresario legacy of these international, otherwise scientific conferences that legitimized the field of integrative medicine and health. The Canadian Memorial Chiropractic College has selected long-time educator chiropractic David Wickes, DC as its new president. Wickes has previously held leadership roles at National University of Health Sciences, University of Western States and University of Bridgeport College of Chiropractic. Wickes succeeds Jean A. Moss, PhD who is stepping down after 24 years in the role. Wickes is a former chair of the Council on Chiropractic Education, the field's accrediting agency. When I mentioned to a colleague my odd feelings in writing a newsletter piece about the Lifetime Achievement Living Tribute Award and wonderful book of 150+ tributes presented to me at the gala of the International Research Congress on Integrative Medicine and Health, she said simply: "Let your freak flag fly!" I've taken her suggestion. It turns out that day included threat of cancer re-occurrence (not), association with a Samurai Data Poet, visits of family, living and dead, an affinity with Scrooge McDuck, and more, all of which I share in this Integrator reflection. If you'd rather see the book, just click here. 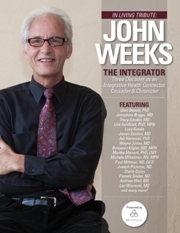 In Living Tribute: John Weeks, The Integrator - Three Decades as an Integrative Health Connector, Crusader and Chronicler. Thanks, each of you Integrator reader people who had a hand in this - and many did!